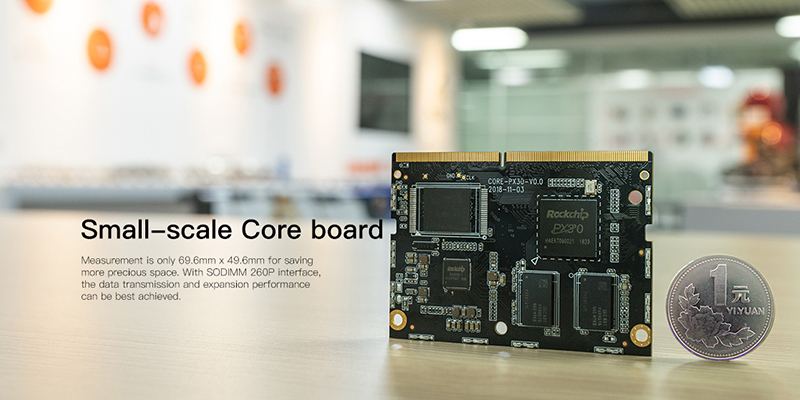 Firefly launched Core-PX30-JD4 quad-core 64-bit industrial-grade core board. 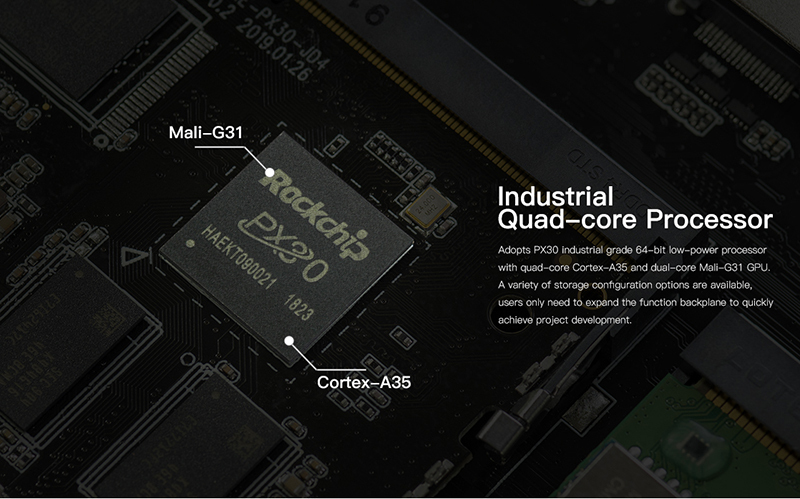 Core-PX30-JD4 adopts PX30 industrial grade 64-bit low-power processor with quad-core Cortex-A35 and dual-core Mali-G31 GPU. A variety of storage configuration options are available, users only need to expand the function backplane to quickly achieve project development. With immersion gold process pin, corrosion resistant, 2 studs fixed, stable operation at 0 °C-80 °C working temperature for 7X24 hours. Measurement is only 69.6mm x 49.6mm for saving more precious space. With SODIMM 260P interface, the data transmission and expansion performance can be best achieved. Core-PX30-JD4 core board can be combined with the backplane to form a complete high-performance industry application main board with more interfaces, more applicability. 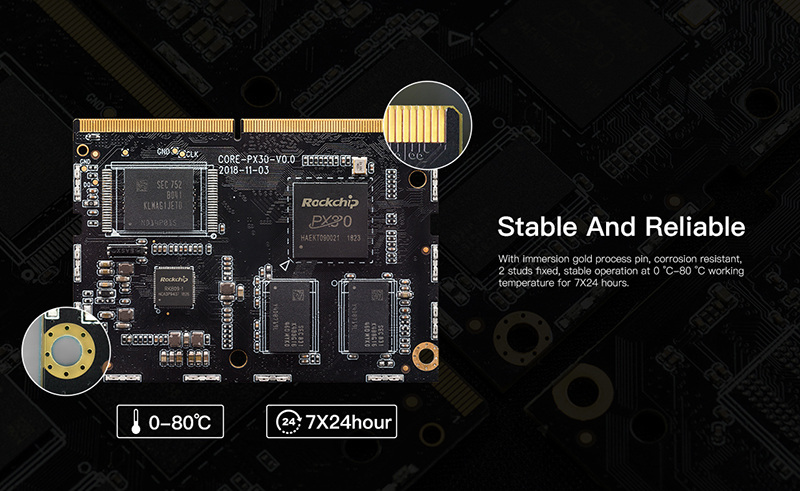 The main board can be directly applied to a variety of intelligent products.